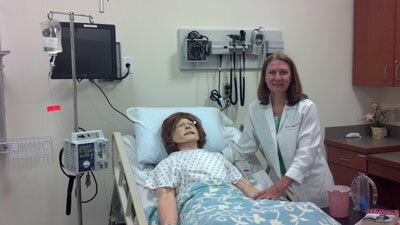 I have been involved in developing clinical simulation as a teaching/learning/assessment strategy at Quinnipiac University for the past seven years. During that time, I have conducted one-on-one simulations, group simulations, and most recently have been involved in streaming scenarios from the laboratory to the classroom. When I began to examine the clinical simulation literature, I learned the majority of the research was quantitative. There was very little information on the student’s perspective of the clinical simulation experience. My background in history and phenomenology led me to focus on the qualitative aspect of clinical simulation. My initial research examined the lived-experience of high-stakes clinical simulation. The results of that study greatly influenced my approach to using clinical simulation with junior and senior nursing students. The next logical step in examining clinical simulation was to use grounded theory to reveal the social psychological problem and process used to cope with the problem. At the time I was conducting the grounded theory study, I was teaching Transitions theory to the junior nursing students. I began to see a connection between Linking and Transitions. 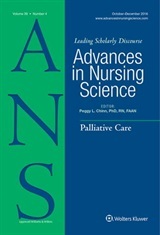 Discussing my thoughts with colleagues and expert nurse researchers prompted me to examine Linking as fostering the situational transition from student to professional nurse. I would like to thank all of the students who participated in the studies and everyone who advised and supported me on my journey of discovery. Visit the ANS web site today to download your copy of this very interesting article!